A collection of four chilling novels, ingeniously wrought gems of terror from the brilliantly imaginative, #1 New York Times bestselling author of The Fireman, Joe Hill. 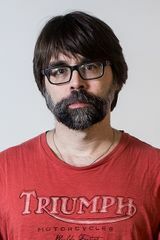 "One of America’s finest horror writers" (Time magazine), Joe Hill has been hailed among legendary talents such as Peter Straub, Neil Gaiman, and Jonathan Lethem. In Strange Weather, this "compelling chronicler of human nature’s continual war between good and evil," (Providence Journal-Bulletin) who "pushes genre conventions to new extremes" (New York Times Book Review) deftly expose the darkness that lies just beneath the surface of everyday life. "Snapshot" is the disturbing story of a Silicon Valley adolescent who finds himself threatened by "The Phoenician," a tattooed thug who possesses a Polaroid Instant Camera that erases memories, snap by snap. A young man takes to the skies to experience his first parachute jump. . . and winds up a castaway on an impossibly solid cloud, a Prospero’s island of roiling vapor that seems animated by a mind of its own in "Aloft." On a seemingly ordinary day in Boulder, Colorado, the clouds open up in a downpour of nails—splinters of bright crystal that shred the skin of anyone not safely under cover. "Rain" explores this escalating apocalyptic event, as the deluge of nails spreads out across the country and around the world. In "Loaded," a mall security guard in a coastal Florida town courageously stops a mass shooting and becomes a hero to the modern gun rights movement. But under the glare of the spotlights, his story begins to unravel, taking his sanity with it. When an out-of-control summer blaze approaches the town, he will reach for the gun again and embark on one last day of reckoning. 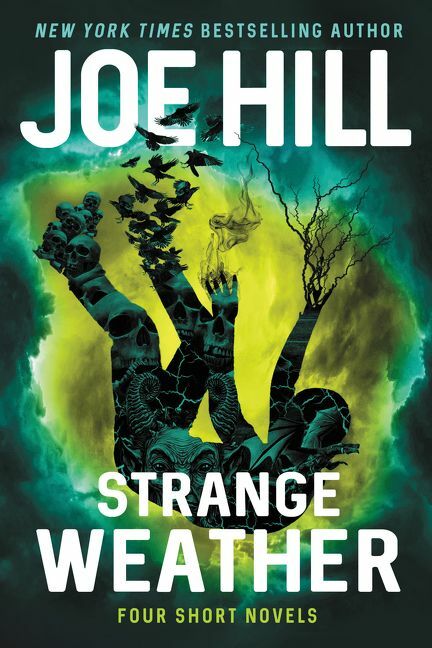 Masterfully exploring classic literary themes through the prism of the supernatural, Strange Weather is a stellar collection from an artist who is "quite simply the best horror writer of our generation" (Michael Koryta). Joe Hill is the #1 New York Times bestselling author of the novels The Fireman; NOS4A2; Horns, which was made into a major motion picture starring Daniel Radcliffe; Heart-Shaped Box, which won the Bram Stoker Award and the International Thriller Writers Award for Best First Novel; and the prizewinning story collection 20th Century Ghosts. He is also the Eisner Award–winning writer of a six-volume comic book series, Locke & Key. He lives in New Hampshire.